A divorce not only dissolves the legal relationship between two adults, it can also divide property, allocate debt and radically rearrange the lives of minor children. For this reason, states have an interest in supervising the process. Although a couple can live apart without court approval, they cannot be granted a divorce unless they request a court to dissolve their marriage. A divorce begins and ends with paper. One spouse begins a divorce by filing a petition asking the court to end the marriage and serving these papers on the other spouse. If the spouses come to a fair and equitable agreement about about property, support and child custody issues, the court will approve the settlement agreement. If a couple cannot agree or if the judge determines that the agreement is unfair, the court will make the decisions after a divorce trial. During this process, the divorce is said to be pending. When the court issues the final divorce judgment and order, the divorce is said to be granted. Some states allow couples to file joint petitions for divorce, but not all states. A joint petition divorce means the married couple petitions the court for a divorce together. They both sign and file the "joint petition for dissolution of marriage" as a simplified, uncontested or no-fault divorce. 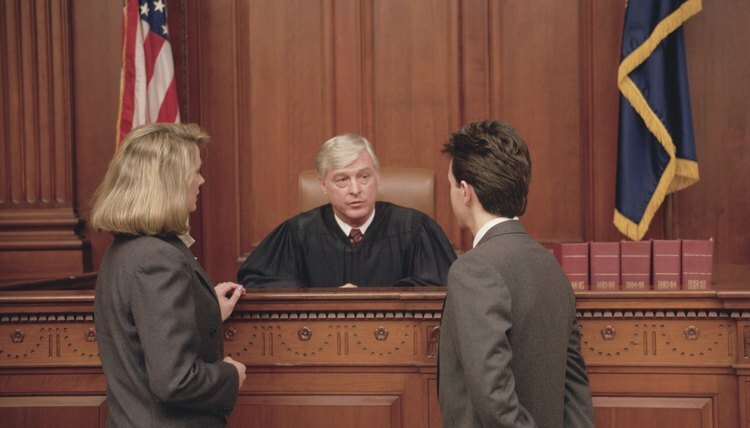 They generally agree to proceed with the divorce in a collaborative manner, without major disputes over fault, property division or child custody. Many couples file a settlement agreement with their petition. The judge must review and approve the joint petition and any attached settlement agreement before he enters a divorce decree, or final dissolution of marriage. Court rules on how to file a petition for divorce vary from state to state.